Your reseller account is billed in United States Dollars (USD) which allows us to pass direct savings from our suppliers to you, without the need to deal in foreign exchange variances or market conditions. In addition to our low standard reseller prices we are also able to offer a tiered pricing structure and bulk purchasing discounts. If you are looking for a tailor made solution please Contact Us to discuss your requirements. Our Reseller System works on tiered based pricing meaning the more you can sell, the cheaper our pricing tiers can be. There is no complicated process required to change tier plans. When depositing money into your account, simply select the tier you would like to use and away you go. There is no further complication to it than that. Great News! You can start selling straight away with the pricing tier that suits your needs. It can be expensive setting up your business and negotiating prices, however with our all-in-one solution for selling Security Products and the cheapest prices, you won’t find this deal anywhere else. If you would like to discuss a custom pricing structure please Contact Us for further information about the custom solutions that we are able to offer. Your reseller account must have a credit balance to be able to successfully submit SSL Certificate orders. By default, you can deposit funds to your reseller account in various pre-set amounts from $250.00 to $5,000 per transaction. Resellers who require a higher credit balance or overdraft facility should Contact Us for further advice. When you order a product or service, your reseller balance will be automatically debited and adjusted accordingly. We accept Visa, MasterCard, American Express, Discover and PayPal payments. Fees apply for refunds, Click Here for further information. 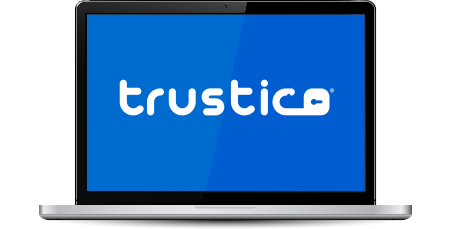 As a Trustico® reseller you choose when to add funds to your account, we never insist on an initial payment and you are welcome to trial our system without making an initial deposit. Access to the reseller service is free and offers exceptional value for money for regular purchasers. Becoming a Trustico® reseller means that you are able to control your margin and set the price for every SSL Certificate that you sell. There's no ongoing fees or charges, just pay for what you use!